Velocette man Phil Price explains the VRNZ ‘Triple pronged attack’ on the 2015 Burt Munro Challenge. Three Classic Velocette’s, two 1949 KTT MKVIIIs and The Big Velo, 500cc works racer MT5001 are heading for the Burt, and the Cams Southern Challenge in the deep south. KTT Velos line up for the Burt. 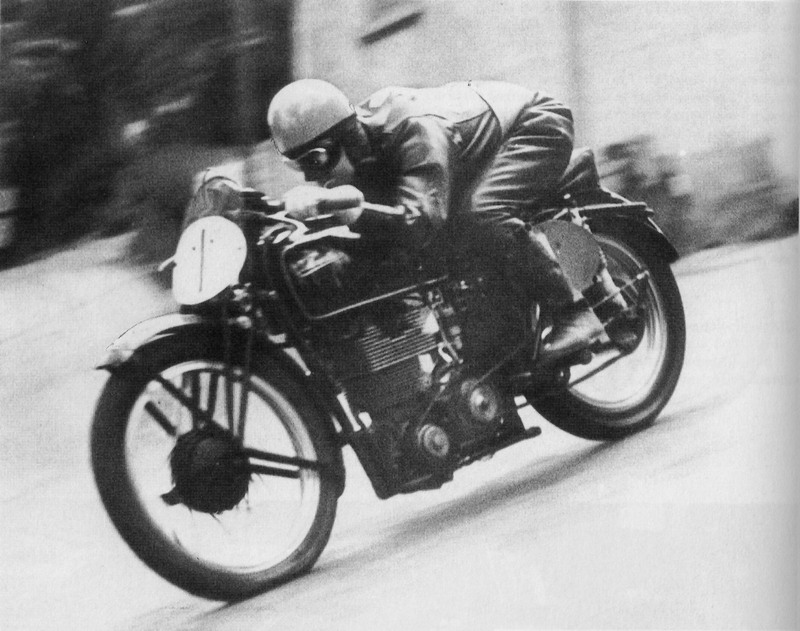 The defining image from Velocette’s heyday on the international racing circuit pre-war. Stanley Woods flying down Bray Hill on his way to victory in 1939 Junior Manx race. Note the ‘Huntley & Palmer’ head, a wry comment on the biscuit tin size & shape of the casting—a nickname coined by Harold Willis. Willis was director, engineer and race chief of Veloce Ltd., makers of the Velocette motorcycle, until his untimely death on the eve of this race in June 1939.